Our American Network - Kenneth Who? The Strange and Surprising Story Behind REM's "What's the Frequency, Kenneth?" Kenneth Who? 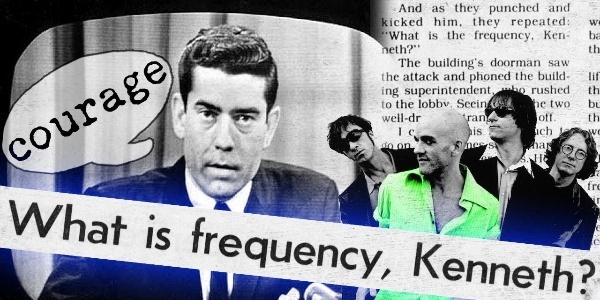 The Strange and Surprising Story Behind REM's "What's the Frequency, Kenneth?" What do Dan Rather, TV brainwashing conspiracy theories, and REM have to do with each other? Here's Hillsdale Intern and music aficionado Montie Montgomery's story on the strange events that led up to the making of the hit song "What's the Frequency, Kenneth?"